We are dedicated to providing our customers with what we call revealing beauty. Our cosmetics are award-winning mineral formulations that nurture, protect and heal the skin while providing flawless coverage and fabulous color palettes. We use only pharmaceutical-grade ingredients and are entirely talc-free. Our skincare products are advanced formulations that work systematically to support skin health and treat skin concerns. Our full range of cleansers, toners, moisturizers, serums and specialty treatment formulations are based on established research and cutting-edge science. Our hair care collection upholds the same integrity of ingredients and performance that our makeup and skin care collections do. 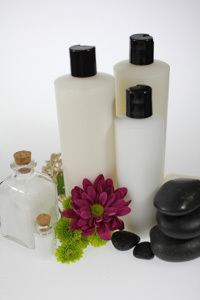 All three of our lines are uniquely formulated for skin care and beauty professionals and their clients. Since 1990. 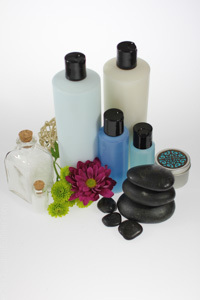 Keyano Aromatics has been formulating one of the finest, natural, environmentally- conscious product lines available on the market today, Deriving its name from the life giving mountain breeze known to the ancient Native American’s as “Keyano”, Keyano Aromatics offers your salon/spa its exclusive, up-scale line of Aromatic Skin Care, Mineral Makeup, Hair Care, and Bath & Body products. Designer Skinâ€™s prevailing philosophy is â€œNutrition for the Skinâ€� and this mantra drives every aspect of our product development. Designer Skinâ€™s phenomenal line of dark tanning formulas provide the ultimate in skin nutrition through the use of advanced skincare ingredients and superior formulations. Exceptional skincare. Exceptional color.